OTTAWA (Reuters) - Canada said on Monday it would let 300,000 immigrants into the country in 2017, maintaining this year's target despite recommendations to increase it to help spur economic growth and help business leaders bring in more talent. 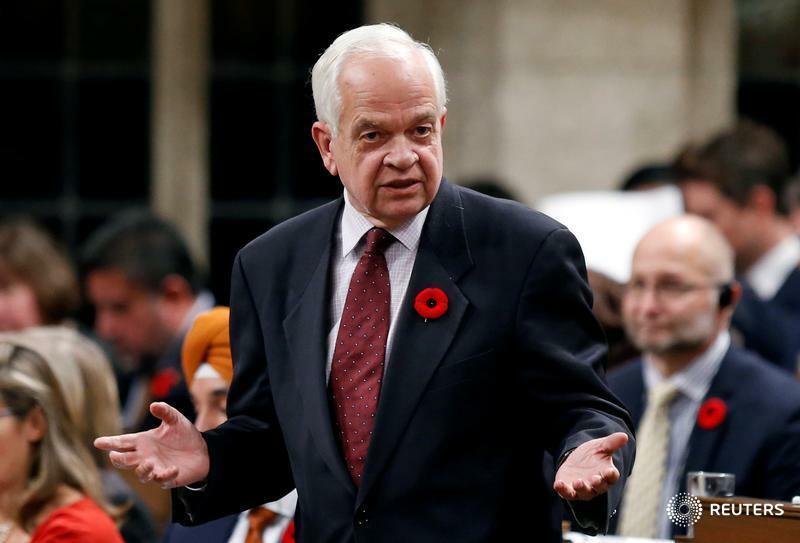 Immigration Minister John McCallum told reporters that making the 300,000 target permanent laid the foundation for future immigration growth, and fought off the suggestion that he had lost a battle against anti-immigration forces. "I do believe it is true that more immigrants for Canada would be a good policy for demographic reasons," McCallum told reporters. Some business leaders were disappointed with the decision not to increase the target to 450,000 over the next five years, as recommended by the government's own economic advisory council two weeks ago to offset Canada's looming demographic squeeze. While the country bucked international trends last year to bring in thousands of Syrian refugees, it was urged by the advisory council to focus on high-skilled business talent and international students to boost economic growth, which has been tepid for years. Corporate Canada has long complained about bureaucratic red tape in the system, saying hurdles to get work permits often make the process too slow for employers and new hires alike. Christopher Reid, founder of software developer Sortable in Kitchener, Ont., was disappointed by the renewed target. "If they want to prioritize innovation, the pace that they move makes no sense to entrepreneurs," said Reid. "Innovators aren't going to say 'Let's put it off for a year.'" Reid said he tried to hire two high-skilled workers from the United States this year but has mostly given up because the process is too onerous and too slow. Stephen Lake, chief executive at wearable technology maker Thalmic Labs, said the slow process was the biggest challenge, but not the only one. Lake said Canada has set the bar so high that even highly qualified candidates are not accepted for immigration — a standard that could have been relaxed if the immigration target had been raised. "We should be rolling out the red carpet and working hard to attract this type of talent into Canada," he said. Under next year's plan, the number of immigrants admitted under the economic category will increase to 172,500 from 160,600 this year, the government said. The number of refugees will decrease to 40,000 from 55,800.